Daniel Martin (Garmin-Cervélo) won stage nine of the 2011 Vuelta a Espana at the summit of La Covatilla this afternoon as Team Sky’s Bradley Wiggins rode brilliantly to finish fourth. Martin jumped out of a small group containing Wiggins and team-mate Chris Froome, defending champion Vincenzo Nibali (Liquigas), Bauke Mollema (Rabobank) and Geox-TMC duo Jose Cobo and Denis Menchov. Mollema took second with Cobo in third, while Wiggins finished four seconds back. Race leader Joaquin Rodriguez (Katusha) lost touch with the leading group 3km from the finish, and conceded the race leader’s red jersey to Mollema. The peloton were all together when Martin attacked 5km from the the summit of the hors catégorie finishing climb, and was immediately followed by his cousin Nicolas Roche (Ag2r-La Mondiale). The pair initially worked well together until Roche lost contact; sensing an opportunity, Nibali jumped out of the bunch and soon caught the lone leader. It took a while for a reaction to come from the chasers, and when it did it was from Froome, who once again worked tirelessly for Wiggins. Before long, the now whittled-down chasing group were notably not only catching the leading duo, but also putting race leader Rodriguez in difficulty. It was therefore no surprise when he lost contact with the chasers shortly before the finish. Froome was still driving the group on while Wiggins continued to look extremely comfortable, evoking memories of his largely-unexpected performance on the road to Andorra during the 2009 Tour de France. Once they had bridged the gap to the leaders, Wiggins took over the pace-setting for the final 1.5km in an attempt to gain as many seconds on Rodriguez and the likes of Jakob Fuglsang (Leopard-Trek) and Jurgen Van den Broeck (Omega Pharma-Lotto) as possible. Although Martin rounded him on the approach to the finish, followed by Mollema and Cobo, he can be more than happy with his ride, particularly going into tomorrow’s 47km individual time trial. Rodriguez came home 48 seconds later, meaning he now trails Mollema by a slender second on the GC. Wiggins moved up to 13thoverall, 1-00 off the pace with Froome just one place – and three seconds – back. 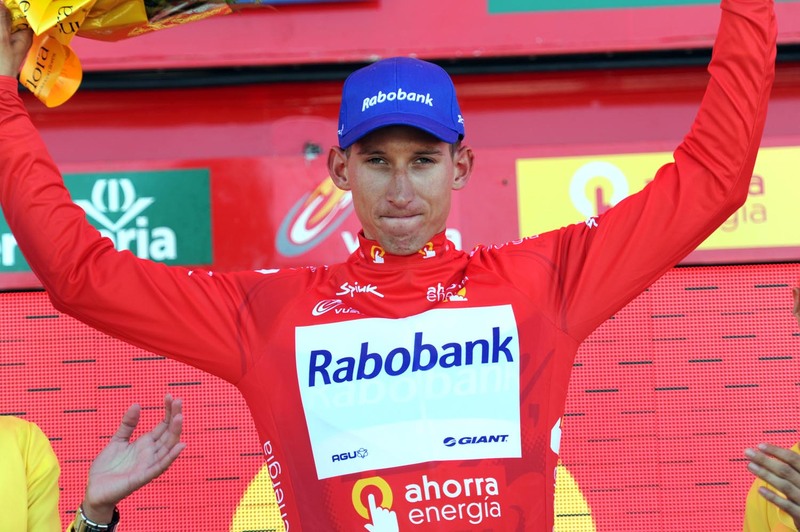 Pro predictions: Who will win the Vuelta?